If you're stuck for Hen Party food ideas, these little gems are definitely a winner. 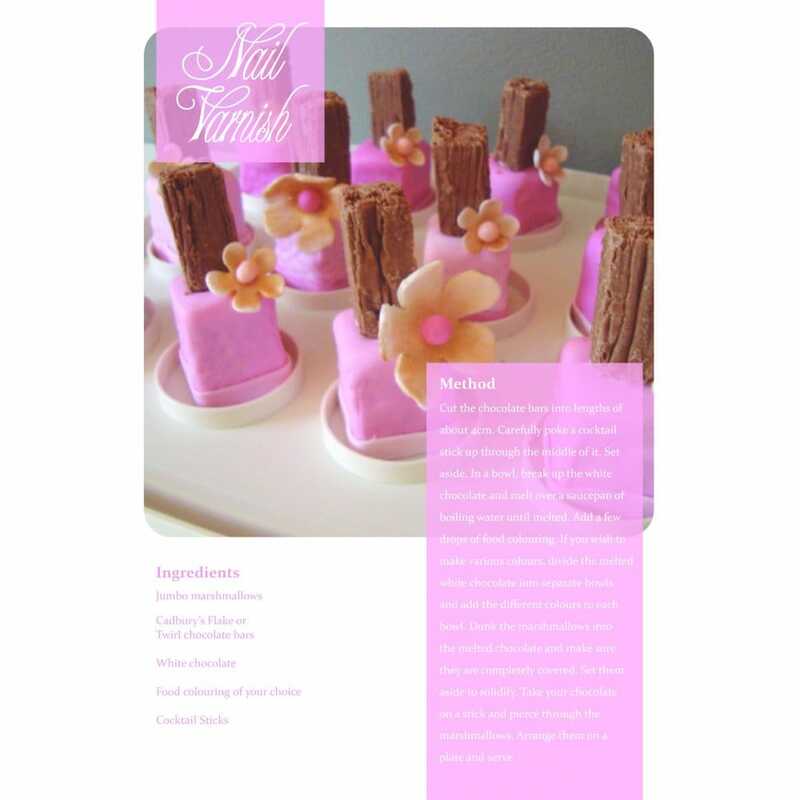 All girls love pampering, so combine this with their love of food and there you have it; edible nail varnish! That's right, it's like the Charlie and the Chocolate Factory of Hen Parties. This recipe is quick and simple to replicate, and all you'll need is some marshmallows, flakes, and food colouring. Download the recipe for more guidance!